Mix all the base ingredients; you will get a thick dough. Grease (but don't flour) a pan and spread the dough. In a bowl mix the middle ingredients and sprinke over the dough. Pour the hot water and bake for about 40 min. at 170ºC. 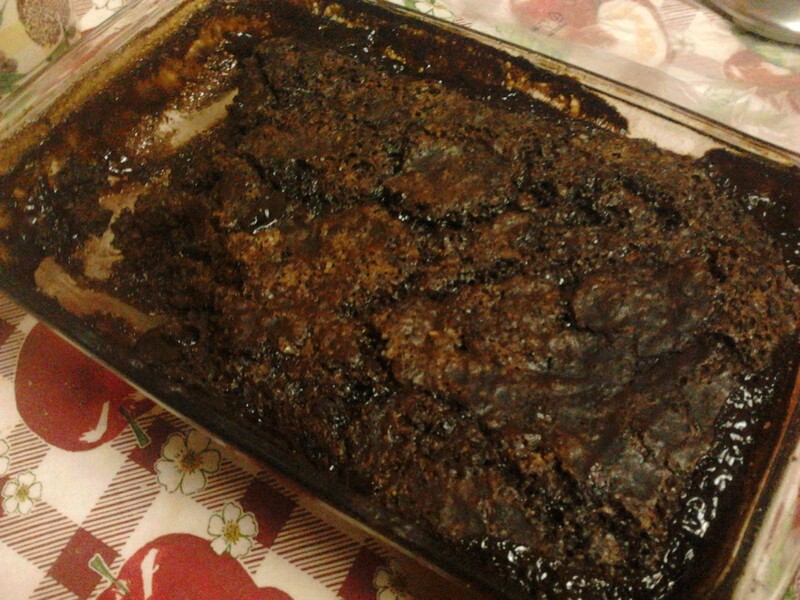 In the end the pudding cake will look creamy; don't remove from the pan, just cut cubes and serve. If you serve it hot you'll enjoy the creaminess better.